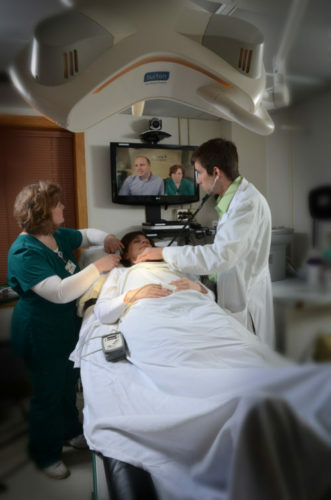 Bloomfield, IA – Davis County Hospital (DCH) is pleased to announce they’ve expanded their Medical Imaging service line to include a Lung Cancer Screening Program. The National Cancer Institute (NCI) has found that having a low-dose CT of the chest in patients at high risk for developing lung cancer, reduces their mortality by 20 percent. As a result of NCI findings, Davis County Hospital has created a Lung Cancer Screening Program for individuals at high risk for developing lung cancer. 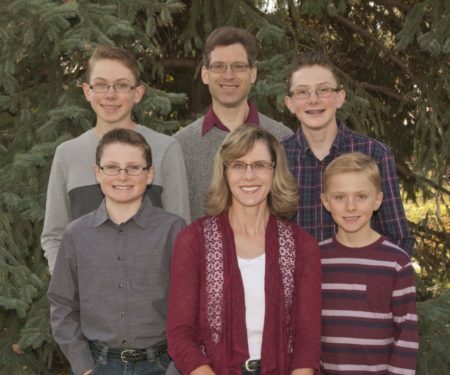 Davis County Hospital’s lung cancer screening program works to detect lung cancer at its earliest stages and help patients get access to life-saving care as quickly as possible. Davis County Hospital’s dedicated Lung Coordinator works in collaboration with patient’s providers to evaluate participants for lung cancer risk, schedule those at high risk for screening tests (CT scans), and assure referrals for necessary follow-up care are made with minimal delays. Ask your provider today about starting your lung cancer screening program at Davis County Hospital. Bloomfield, IA – Hannah Eastlick, Licensed Practical Nurse (LPN) in the Medical Associates primary care clinic at Davis County Hospital (DCH), was one of the Mercy Health Network Hospital recipients of this year’s DAISY Award for Extraordinary Nurses. 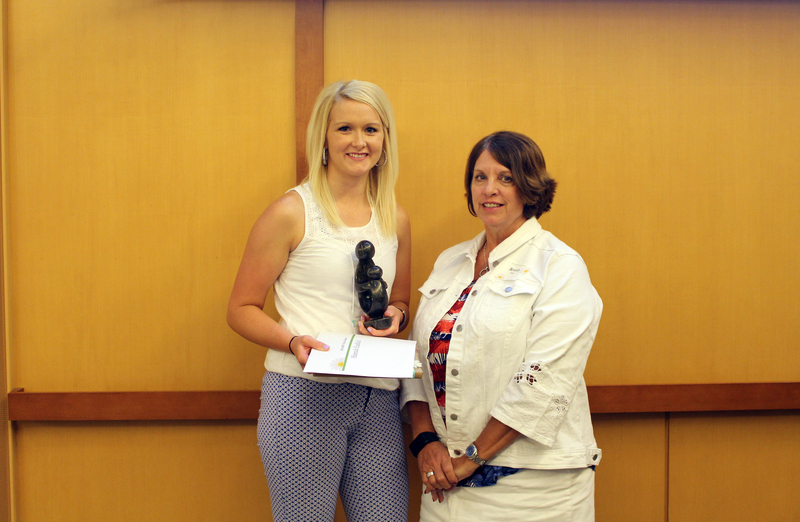 Hannah was presented the award at the annual DAISY Award Celebration held on June 15th at Mercy Medical Center in Des Moines. The DAISY Award is in recognition of a young man, Patrick Barnes, who died at the age of 33 related to an auto-immune disorder that took his life in just eight weeks. His family was so impressed with the level of knowledge, expertise and compassion they experienced with the nursing staff that they wanted to establish a forum to provide ongoing recognition of the extraordinary work nurses do every day. DAISY is an acronym for Diseases Attacking the Immune System. Davis County Hospital participates in the DAISY Award program each year, which gives patients, community members, and coworkers the opportunity to nominate a nurse who has gone above and beyond by showing compassion and skill. Six Davis County Hospital nurses were nominated this year, and through a voting process, DCH team members selected Hannah Eastlick, LPN as the recipient of this year’s DAISY Award. Davis County Hospital (DCH) is pleased to announce they’ve expanded their sleep study service line to include in-home sleep studies. In-home sleep testing is an effective, cost efficient means of diagnosing sleep-related illnesses in the comfort of your own home. In order to diagnose Sleep Apnea or other sleep disorders, a patient must undergo a sleep study. This is typically done in a sleep lab, requiring the patient to spend the night in a lab, while equipment records his/her physiological data. This new home sleep technology, now offers patients a cost effective, easy to use, and reliable device for the home diagnosis of Obstructive Sleep Apnea (OSA). A patient is usually ordered a home sleep apnea test or “sleep study” by his or her doctor who suspects that the individual has OSA. Nasal and Oral Airflow – by a thin wire that is taped by the nose and mouth – some sensors look like an oxygen cannula. Oximeter Finger Probe – a small clip-like device that attaches to the fingertip and emits a red light that assists in the evaluation of oxygen levels in the blood while sleeping. Ask your doctor today about having your in-home sleep study completed with Davis County Hospital. Davis County Hospital (DCH) learned on October 31st, 2017 that an unauthorized individual/hacker had forced their way into the DCH email system via two employee email accounts. The unauthorized individual/hacker then used the employee email accounts to further redistribute additional phishing emails. In addition to having access to email contacts within those email accounts, they would have had access to the emails contained within those accounts. DCH initiated an investigation as soon as the breach was identified with the support of Mercy Health Network and Trinity Health on ensuring compliance with HIPAA regulatory items. Davis County Hospital, through a thorough investigation, cannot confirm that the intruder actually accessed, viewed, or further disclosed any protected health information contained within the email inboxes that the unauthorized individual/hacker had access to. Through the investigation, a total of 383 patients were identified that could have had information potentially accessed, including information such as possible name, address, date of birth, and insurance billing information. Of the 383 identified patients, 25 were identified as higher risk, as information included social security numbers, diagnoses, and/or credit card numbers. Davis County Hospital wants patients to know we have moved as swiftly as we possibly could to address the problem as soon as it was detected. To ensure any impact to the potentially affected patients is minimized, all 383 individuals were sent communication on the potential breach. Those 25 individuals identified as high risk, were also offered one year of support through Experian, a credit monitoring service to put their mind at ease. For those offered one year of support through Experian, please ensure you enroll by March 31, 2018 utilizing the information provided in your personalized letter; your activation code will expire after this date. Phishing emails targeting individuals are increasingly the most common way criminals attempt to gain access to secured networks. Our organization continues to receive high ratings from independent security risk assessment firm FRSecure for risk analysis activities which are performed annually. Our organization employs numerous industry leading hardware and software security tools and processes to protect our patient’s health information along with ongoing security awareness training to all staff. Davis County Hospital is actively taking steps to guard against something like this happening again, including adding additional layers of security to the email system along with continuing best practices of using industry leading information security resources, systems, and security awareness training for all staff. Because we value each of our customers, and their trust is important to us, we want our customers to know we are doing our best to ensure security within our system. Our top priority will continue to be taking care of our patients and helping them feel confident in us to protect their health information while providing knowledge and trustworthy care for our community. Potentially affected patients were mailed notices informing them of this incident. We are also providing this website notice because we anticipate that certain patients may have moved or may not be reachable by mail. Patients directly impacted by the potential breach, are encouraged to reach out to DCH with any questions they might have, by contacting our Privacy Officer at toll free number, 1-888-664-2145 between the hours of 8:00am and 5:00pm, Monday – Friday. If you become a victim of identity theft, or even suspect that you might be a victim, take immediate action. Contact one of the credit reporting agencies’ fraud alert departmentsand place a fraud alert on your credit report. Contact your lenders, banks, and insurance companies and let them know the situation. File a police report—it is proof of the crime. Periodically check your credit reportsover the next year to make sure no new fraudulent activity has occurred.